Not Running a Hospital: "What" before "Why"
As the Lean Coaching Summit drew to a close, John Shook, head of the Lean Enterprise Institute, offered a summation that included the slide above. Although I have been practicing and/or coaching Lean for many years, it made a big impression on me. Let me explain. The 5 Whys is a question-asking technique used to explore the cause-and-effect relationships underlying a particular problem. The primary goal of the technique is to determine the root cause of a defect or problem. 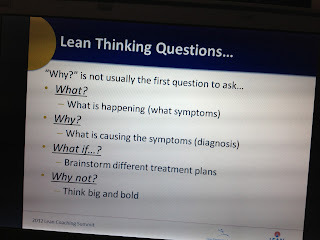 Lean practitioners spend a lot of time on the 5 Whys, and John's slide properly incorporates the "why" portion of a problem solving. But he also reemphasizes the need to understand "what" happened. As he said to me before the talk, we often do not spend enough time at the site of the problem to comprehend fully its characteristics and nature. Failing to know what happened means that the root cause analysis can be off track, and the designed solutions therefore will not offer a complete or sustainable solution. As in many things related to Lean, this kind of advice can either appear to be self-evident and simple, or too nerdy or techy for real-world situations. But it is neither. It represents a codification of an essential aspect of process improvement, an aspect often observed in the breach. How often have you been in an organization where a supervisor learns of a problem, does a cursory review, and then decides what has happened without a full understanding of important factors and details? I know I have been guilty of this flawed approach in every leadership position I have had. It occurs because we are creatures of habit, and the framework we use in viewing problems or defects has developed over the years based on experience, anecdote, and impressions. It takes real insight to overcome our habitual view of the world and have the clear vision to see a problem and fully comprehend its characteristics. It also takes a lot of practice to learn how to see a problem and to fully comprehend its characteristics. 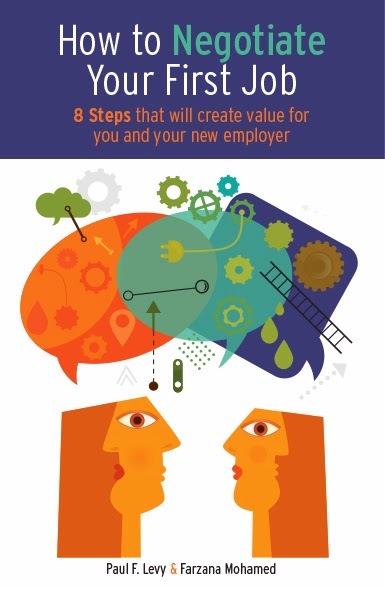 An essential aspect of leadership training should be to create comfort in spending time on the front lines, where the work is done and value is delivered to customers. Beyond physical presence, leaders have to be taught to quietly observe the work patterns of the front-line staff, and especially to see how the staff people create work-arounds to overcome obstacles to the tasks they are trying to carry out. Excellent coaching is required to teach leaders the observational skills they need to answer the question, "What happened here?"